The chief minister presented Capital Foundation Nation award to dignitaries from various walks of life. Secretary (Rural development department) J K Mahapatra, Public Policy Facebook Director Ankhi Das, Centre for Environmental Studies Director Prof. T Shivaji Rao, social activist and senior lawyer of Supreme Court Prashant Bhushan, Lt. Gen. Dr S D Duhan, Kent RO system Chairman Mahesh Gupta, Major Gen. Dr Sanjiv Chopra, Dr M N Krishnamani, O P Jindal Global University Vice Chancellor Prof C Raj Kumar, environmentalist Prof K Purshottam, UGC Chairman Prof Ved Prakash, Chairman ICES Group Anil Malhotra and film director Hari Baweja were amongst those who received the awards. The chief minister said it is his pleasure to be a part of the function organized by capital foundation, an institute associated with big names such as Justice Krishna Iyer and Justice P N Bhagwati. He said it is his privilege to present awards to these dignitaries as they are eminent people and have carved a niche for themselves in their respective fields. 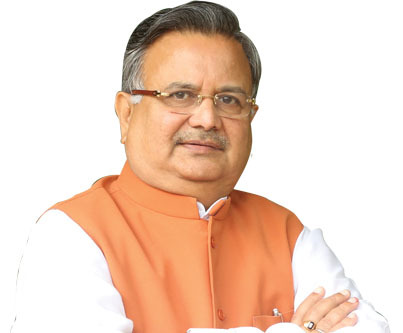 Speaking on the issue of decentralization of constitutional power, the chief minister said that in Chhattisgarh, the government has tried to decentralize the decision making power to the lowest level, i.e. Panchayat. He said that his government divided the development blocks in to smaller units to ensure better administration. He said that his government had been working hard to eradicate malnutrition and hunger from the state and has achieved success in this direction. He always pitched for giving states the right to decide and make policies to ensure better implementation of policies and schemes. Niti Aayog member Bibek Debroy also gave a presentation on the function. OSD to CM Vikram Sisodiya was also present there.